Age Limit : 56 Years . IISER Bhopal Recruitment 2019 . 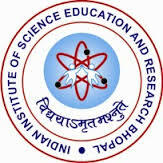 The Indian Institute of Science Education and Research Bhopal, invites Online Application for the recruitment of 36 Office Assistant, Junior Engineer and Other vacancies .The employment details about the posts, age limit, educational qualification, experience and other conditions are given below as link. The candidates are requested to go through the details and ensure that they fulfill the minimum prescribed criteria before applying. Apply online on or before 05 January 2019. Pay Scale : Rs. 18,000.00 P.M.
Indian Institute of Science Education and Research (IISER) Bhopal Recruitment 2017 . Indian Institute of Science Education and Research (IISER) Bhopal invites Application for the post of 07 Sports Coach. The employment details about the posts, age limit, educational qualification, experience and other conditions are given below as link. The candidates are requested to go through the details and ensure that they fulfill the minimum prescribed criteria before applying. Apply Before 07 July 2015. Educational Qualification : Coaching Diploma in Sports (NIS/ Degree in Sports). How to Apply : Interested Candidate may apply in prescribed application form along with along with bio-data in prescribed format and self attested Xerox copies of the certificates/mark sheets send to BIS (India) Ltd, Branch Bhopal, Mr. Anurag Shukla, Dy. Manager Operations, Room No. 107 Hostel-I, IISER Campus, Indore Bypass Road, Bhauri, Bhopal-462066 on or before 07.07.2015.